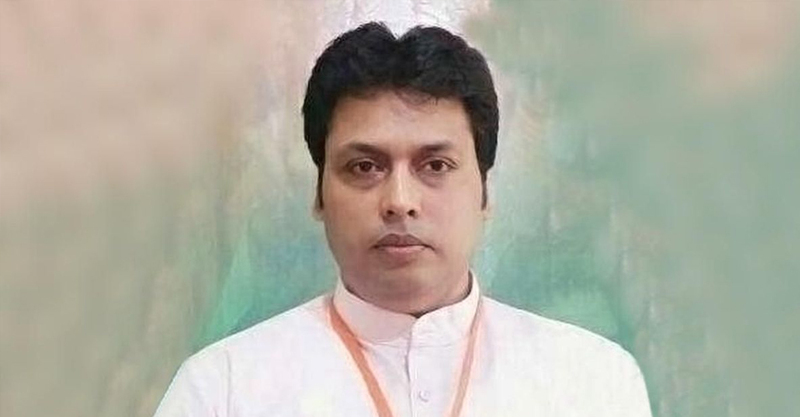 Tripura chief minister Biplab Kumar Deb said that famous Indian poet Rabindranath Tagore refused the Nobel Prize in protest against the British, inviting controversy through contentious statements for the fifth time since he assumed charge of the state two months ago. In reality, Tagore had rejected the knighthood conferred on him by the British after the Jallianwala Bagh massacre. The Nobel Prize for Literature – awarded to the poet in 1913 – remained with him until his death on August 7, 1941. The opposition was quick to pounce on Deb’s mistake, criticising him for not doing “basic homework” before delivering lectures. “Our chief minister has crossed every limit of idiocy. We even don’t feel like commenting on the issue,” said Communist Party of India (Marxist) central committee leader Goutam Das. Deb has been in the news for his views on various subjects – including the existence of the Internet during the Mahabharata war, whether 1994 Miss World Diana Hayden can be considered an “Indian beauty”, the questionability of mechanical engineers joining the civil services, and raising cattle instead of approaching politicians for government jobs – over the last few weeks.